In 1993, during my first session of MBA at the University of Hull, UK, we (mostly Indian and Chinese civil servants) were asked if we had ever sold anything in our life. Most of us answered in the negative and were told that producing any commodity is far easier than selling it. The Indian farmer faces the challenge of selling his/her produce at a profit at the end of every crop season. Since 85 per cent of the operational landholdings are less than 2 hectares, these small farmers are in no position to take their produce to far-off mandis even if the prices there are higher. They are, thus, forced to either sell to a village aggregator or go to the nearest mandi and sell at whatever price is being offered by arhatiyas (produce aggregators who work on commission and procure on behalf of state agencies). The present crisis in Madhya Pradesh and Maharashtra is primarily a manifestation of this injustice faced by farmers year after year, and especially, when the monsoon has been kind and there has been no calamity. Unless a solution to this problem is found, no intervention (to reduce input costs or increase productivity or provide cheaper loans or even write off loans) will help. The current demand for loan waiver has its origin in the speech of Prime Minister Narendra Modi on February 15, when he said that if voted to power in Uttar Pradesh, the Bharatiya Janata Party would waive crop loans. The new state government lived up to its promise and decided to waive loans amounting to Rs 36,359 crore in its very first Cabinet meeting. At a time when farmers in many other states, especially those cultivating potato, onion, soybean and tur, were struggling to sell their crop even at the minimum support price (MSP), and were aware of rumours about the government planning to settle the non-performing assets (NPAs) of banks by writing off loans of corporates, it was only a matter of time before they too demanded a similar farm loan waiver. In fact the way these NPAs are settled by banks will decide whether such farm loan waivers are continued in future too. Since only a third of our small and marginal farmers have access to bank credit, two-thirds of them will not benefit from the loan waiver. Thus, the really poor farmers, especially in the rain-fed areas, will not gain from the generosity of the government. While I consider the current round of loan waivers as an “atonement” for “sins” committed against farmers by denying them free trade, the government has to seriously think of the long term and come up with policies which will obviate similar demands in future. In the meantime, the government would do well to assure the farmers that they will not be asked to bear the burden of keeping the inflation low. 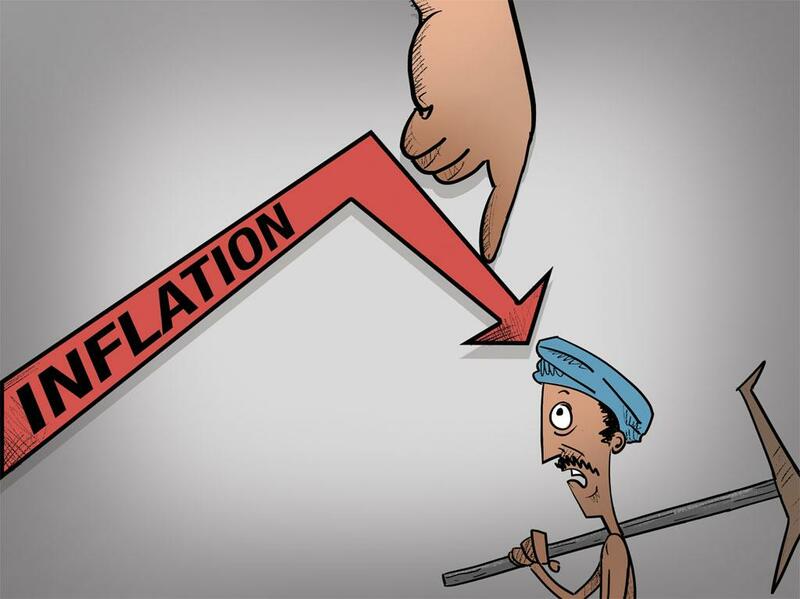 Whenever the prices of food products have risen in the past, the government has come up with restrictions on the movement and export of produce, imposed minimum export prices, taken measures to check hoarding of stocks and even conducted raids by the income tax department and the police. The demonetisation drive last year proved to be the last straw, sucking liquidity from the system for months and contributing to the decline in prices received by farmers. If waiver of loans in future is to be prevented, a solution to marketing woes has to be found urgently. Hussain retired as Secretary, Agriculture, Government of India, and is now Senior Visiting Fellow, Indian Council for Research on International Economic Relations.